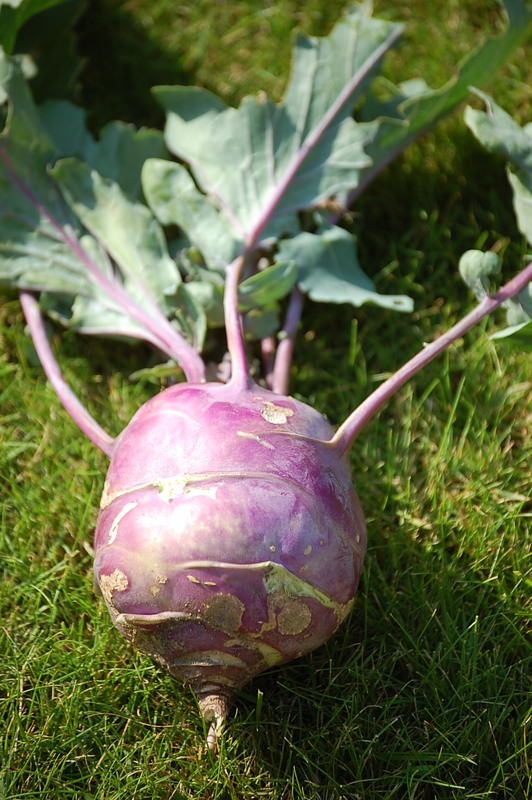 Start hunting around for recipes using kohlrabi and you will no doubt stumble across references to how ugly this less well known brassica is. I find this a little harsh and there is something quite beautiful about them with their purple skin and sprouting leaves, sitting atop the soil on the allotment. They certainly confused a lot of my fellow allotmenters who tend to grow more “traditional” veg. They can be hard to find but are very easy to grow if you have a little space. I find kohlrabi are at their best when fresh and raw. The raw texture is like a very crunchy, juicy apple, but the flavour has only the slightest hint of sweetness. 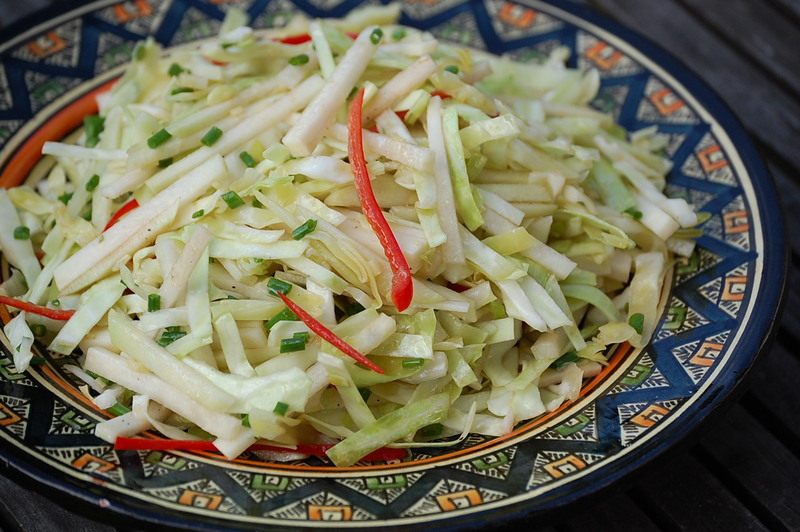 If you can’t find kohlrabi you could use raw turnips for this. Take a large bowl and mix everything together. Leave to infuse for 5-10 minutes before turnign out onto a nice plate for serving.